Vast wheat fields form America’s breadbasket. Tall, proud corn fields are the settings for movies. But according to USDA data, a new crop is set to dominate the most acreage in the country: soybeans. Starting in 2019, the USDA predicts that soybeans will cover the most acreage of any crop in the United States – surpassing corn for the first time – a trend that has been predicted for the past couple of years, and one that will likely continue for at least a few more. The United States is the biggest exported of soybeans in the world, slightly ahead of Brazil; in 2016, we produced 4.31 billion bushels of soy. (Corn produces much more per acre, though soy prices are commensurately higher.) 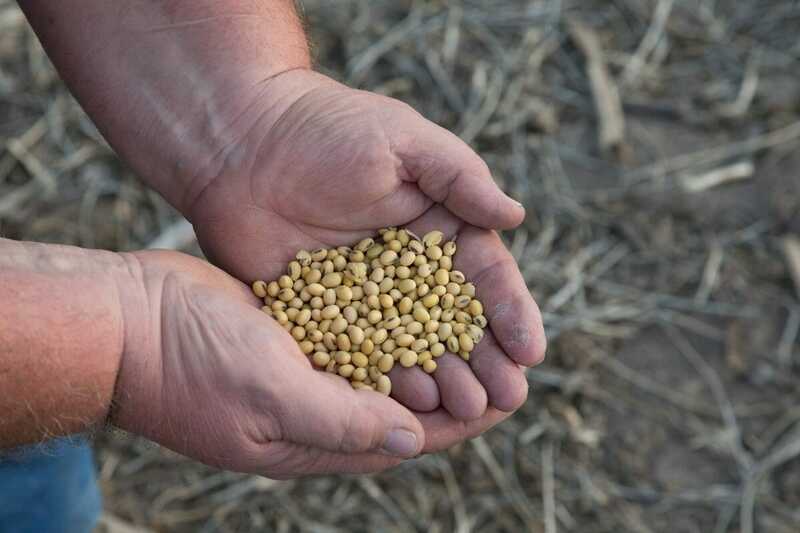 In 2018, the USDA estimates that the U.S. will have 91 million acres of soybeans. This country is, bizarrely, soy country. And yet, soy is not wildly popular as a food in the United States, at least when called such. Sure, people love soy sauce. But soy products are usually marketed under some other name – say, vegetable oil instead of straight soybean oil, or as margarine instead of hydrogenated soybean oil. Soy products like tofu, soy milk, and natto are niche in the U.S. So why so much soy? The soybean plant is primarily grown for its edible beans, which are very high in both fat content and protein. In the U.S., the vast majority of soybeans are immediately broken down for their oil, separating it from the rest of the bean, which is called “meal.” The oil is outrageously versatile and useful; like we said above, if you’re buying “vegetable oil,” it’s likely soybean oil, and margarine is often processed soybean oil. And since soybean oil is very cheap, mild in flavor, and easy to work with, it often shows up in pre-made baked goods and other foods. There are also plenty of industrial, non-food uses for soybean oil: lubricants for cars, crayons, candles, hydraulic fluids, adhesives in particle board, solvents, and more. Biodiesel fuel is usually made with soybean oil. The soybean meal that’s left over is, almost exclusively, made into animal feed. It mostly goes to chickens, though pigs and cows (both meat and dairy cattle) eat it as well. In fact, that’s why we’re growing so many soybeans: the meat aisle at your supermarket – roughly 70 percent of all U.S. soybeans are grown for animal feed, but at home and abroad. There’s more to this story: The U.S. exports around half of the soybeans it produces. The biggest importers are China, the EU, Japan, Mexico, and Taiwan, according to the USDA. In fact, about two-thirds of China’s agricultural imports are soybeans. This is a major concern for anyone watching the Trump administration’s take on free trade – the tariffs could slaughter American farmers. Where do I find the article about why the lettuces are so susceptible to e-coli infestation?